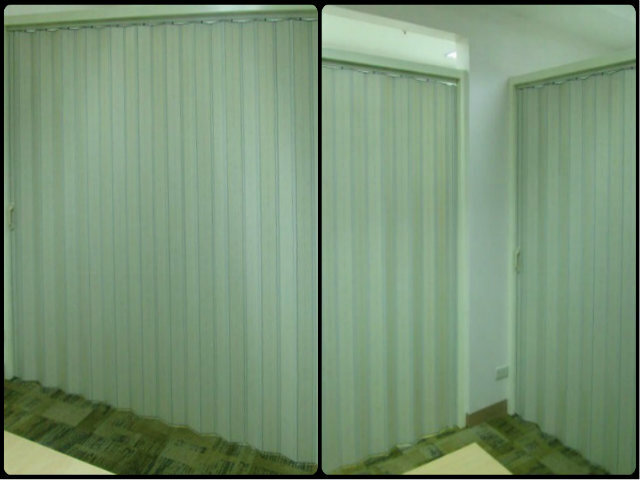 One of our clients in Taytay, Rizal opted for two sets of Folding Door / Accordion Door for his new office. His office is a large studio type room and transforming a studio room to an office means a lot of work and expenses. He planned to divide the room into several rooms for his employees. At first, he considered using cubicle, but he realized that it only provides little privacy. 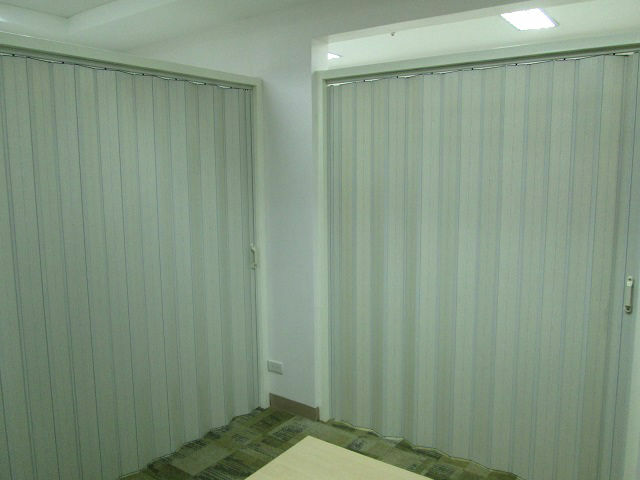 Thus, he decided to use folding door because it can give them more privacy. Folding door also stands as wall and door and also help him relax and be comfortable while working because it helps reduce the noise entering his room. He selected white ash color because it is the closest color to his wall paint and it also creates a clean and peaceful ambiance. Maintaining Folding Door is not difficult because it is made of PVC material, making it more durable, easy to clean and its color doesn’t fade easily. 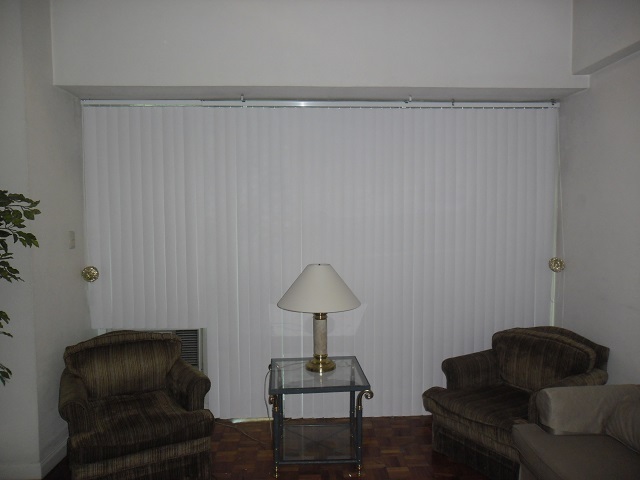 Purchasing folding door is a good investment because it will last long and very inexpensive. 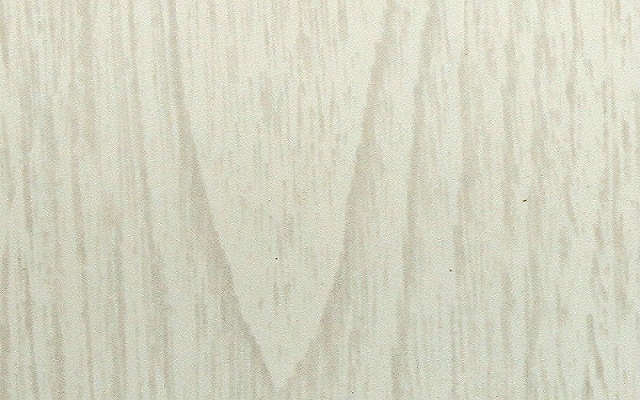 DS Windows & Walls Interior Supply has four different types of folding door, e.g. Regular, Deluxe, Special Deluxe and French type that will fit for any home or office interior. 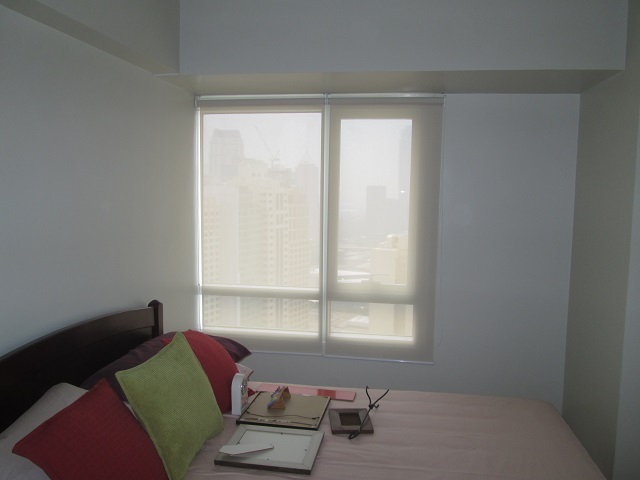 For more information, call us at (02) 893-1373 / (02) 403-3262 / 0916-311-3909 or email us at inquiry@dswindows.com. You can also visit our showrooms at 4th Level Waltermart, Makati City, 3rd Level Robinsons Metro East, Pasig City and 2nd Level Pacific Mall, Lucena City.